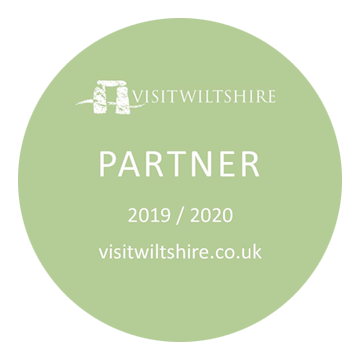 Edington can lay claim to three great things: first, a noble church which was built to serve both the parish and a monastery; secondly, a living tradition of parochial worship; and thirdly, the memory of a tradition of monastic worship. Nothing which may be done in Edington Church must ever be allowed to interfere with the parochial tradition. 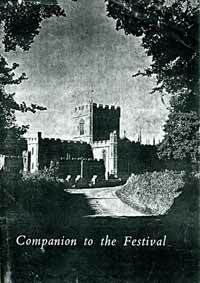 But, God willing, the Festival may be the seed from which the daily corporate tradition will one day again flourish – not necessarily according to the statutes of William of Edington or the Rule of Saint Benedict or indeed any known monastic or religious tradition; but always with the infinitely various needs of our own time in mind. Taizé, with its broad conception of workers in the world worshipping God regularly in community, may have a message for Edington. 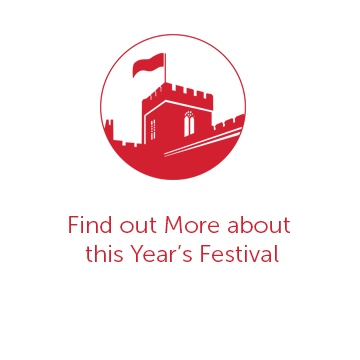 The Festival has gradually grown, over the years, from four days to a week. To the Festival has recently been added the solemn observance of Tenebrae in Holy Week. With prayer, the facilities may come which will make possible yet more regular worship in community. What, then, is this Festival? It is, first and foremost, a corporate act of worship by people who share a common heritage of music. It is a festival in which people from all walks of life and all ages learn, through worship in community, to live in peace with God and their neighbour. It is a festival in which God is worshipped through the liturgy of His Church, in which the Eucharist is recognised to hold central place, and in which the conscientious recitation of the daily offices is accounted secondary but vital. It is a festival in which God is worshipped through beauty – beauty of sight, shown or seen in stone or ceremony, beauty of sound, made or heard in the word sung or spoken. The success of the Festival is not, therefore, to be measured by counting the heads in the congregation, the coins in the bag, the patronage of the BBC or the appeal of the music in itself. Each of these things has a value, but not as an end in itself. It has a value only insofar as it serves to make the worship possible and, once possible, more worthy. Worship through the liturgy, worship through beauty may not be the way of worship for everyone; it is probably the way for very few. But it is our way; and we believe that it may be the way for others, and for some the only way. That is its justification. The Festival is, then, a corporate act of worship by people who share a common background of music. For one week each summer some fifty people meet at Edington to sing the full round of daily choral services in the Priory Church. From where do these people come? Of the two priests who come to assist the Vicar, one is the chaplain of a Cambridge college, the other a curate in a Devonshire parish. The Bishop of Dorchester comes to preside at the Procession of the Christian Year. The Bishop of Kensington comes to celebrate at the Solemn Eucharist on Trinity XI. The four servers are all former Festival choristers who are keen to learn more about the liturgy of the Church. The ceremonial is under the direction of John King. Of the two choirs, the Plainsong Choir consists of twelve adult musicians – not necessarily singers – who come from all walks of life, but who share a common desire to learn more about plainsong. The choir is under the direction of Warren Green, who, for a short while, studied plainsong under Dom Gajard, O.S.B., of St. Peter’s Abbey, Solesmes. The Polyphonic Choir consists of twelve trebles, four adult male altos, four tenors and four basses: all share the common desire to sing polyphonic music as well as it can be sung, and to make the rich repertory of cathedral music more widely known and appreciated. The trebles are either past or present members of cathedral or collegiate choirs. Amongst the choirs represented at Edington this year are Chichester, Winchester, Salisbury and Exeter Cathedrals, Christ Church, Oxford, and King’s College, Cambridge. The altos, tenors and basses are all past or present choral scholars of King’s College, Cambridge. The choir is under the direction of Simon Preston, the Sub-Organist of Westminster Abbey. Each person is the guest of a parishioner, who provides him with bed, breakfast and a home. The day begins with Matins, sung to plainsong, a said celebration of the Holy Communion, and a celebration of the Solemn Eucharist, also sung to plainsong. The later part of the morning is given over to rehearsals for clergy, servers and choirs in the church, parish hall and village school; and visitors are welcome to listen to any of these rehearsals. Lunch and supper are provided by the George Inn. The afternoon is generally free for recreation: some swim, others walk, some visit stately homes, others simply laze in a deck chair in the garden. The work of the day ends with the singing of Evensong by the Polyphonic Choir. Mr Alec Robertson has recently written, ‘When the nature and purpose of the liturgy is fully understood, the music which spiritually, aesthetically and practically consorts most closely with the sacred words of the liturgy is plainsong – however unpopular this conclusion may be.’ Spiritually, because, subordinated as it is to the words of the liturgy, it is perfect prayer-song; aesthetically, because it enjoys a tonal variety and a melodic and rhythmic subtlety not shared by polyphony; and practically, because it lies within the range and ability of the voices of those by whom it is to be sung. Plainsong, the traditional music of the Western Church, reached its spiritual, aesthetic and practical peak towards the end of the first millennium of the Christian era. One of its chief characteristics was the musical simplicity of the central parts of the mass. The Middle Ages witnessed a gradual complication and debasement of the pure chant. It was, therefore, not surprising that the English reformers should have swept away the chant as they knew it; but, in their wisdom, they did not seek to sweep away plainsong altogether. In an effort to satisfy the requirements of the reformers, within the limited musical scope allowed, John Merbecke set the first Prayer Book of Edward VI of 1549 to plainsong in his ‘Book of Common Prayer Noted’ of 1550. But the lustre had gone – and plainsong, being out of sympathy with the humanism of the Renaissance, died. It was the Oxford Movement which brought plainsong to life again in England. From the publication of Thomas Helmore’s ‘The Psalter Noted; in 1849 onwards there has appeared a regular flow of plainsong manuals of every kind, devoted to the chant which was in use in England before the Reformation adapted to the liturgy of the Book of Common Prayer. It is unfortunate that plainsong, in its revived form, should have become so fixedly associated in the public mind not merely with the high church party, but also, unjustly, with an inclination towards Rome. The truth is that Rome has never lost what is the common heritage of the whole Western Church. We should insist upon a prescribed and authorized order of plainsong as the basis of the English musical liturgy. Departure from it to polyphony there can be often-as often, indeed, as there are adequate musical forces to justify it; but plainsong should form the basis.